Indigenous performance is powerful. While embracing commonalities, it can: dislocate dominant cultural constructions of reality, time and place; interrogate the distinctions between ‘us’ and ‘them’; and carry the ability to refute cultural homogeneity. The latter is especially relevant when applied to critical analyses of Indigenous performance. These are often laced with challenges of power and privilege, for example: varying degrees of cultural awareness; a tendency to blur differences between Indigenous peoples and their creative works; an inclination towards what Rhoda Roberts calls the ‘kindness approach’; and the persistence of Euro-centric aesthetics as the ultimate measure of success. How do reviewers respond to Indigenous performance from positions (real or perceived) of power and privilege, and how are these constructed when framing critical responses? Further, how are these responses complicated when the performance under review is by Indigenous peoples who are not of this place? 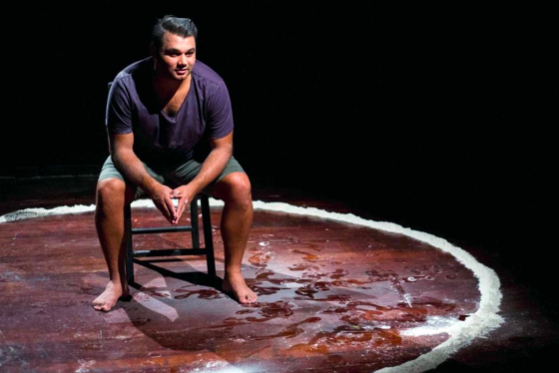 This paper looks at what happened when HART, an Aboriginal Australian theatre work based on testimonials from the Stolen Generation was reviewed in New Zealand by predominantly Pākehā critics. It also examines how, as reviewers, we can develop a practice of robust criticism that offers an active and engaged response to Indigenous performance and, thereby, empowers the production of Indigenous performance to extend far beyond the walls of the theatre.